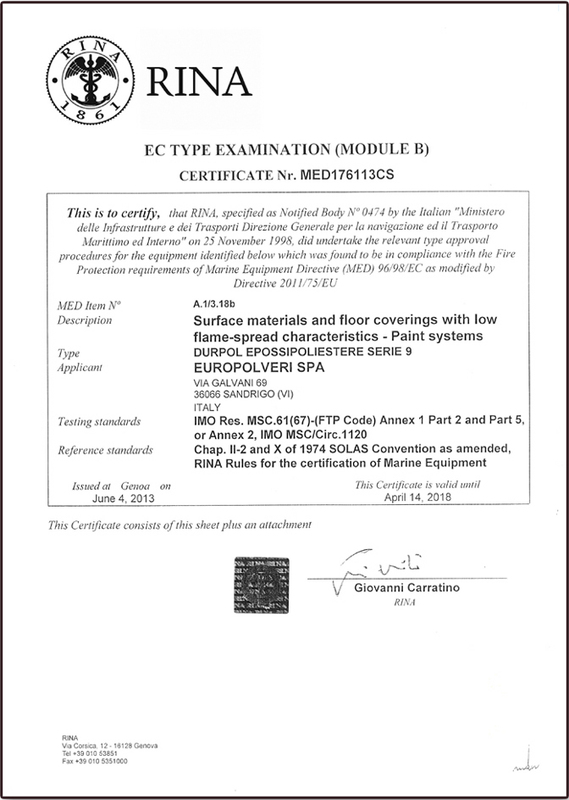 Dynamism, the capacity to renovate, competence and process and product quality standards are the constant elements that have distinguished Europolveri so far and that will remain as a point of reference even in the future. 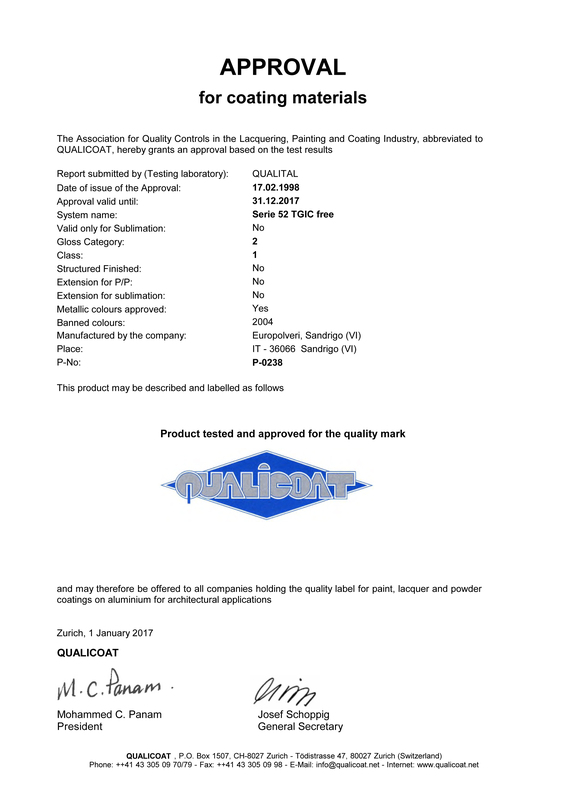 All these corporate values have been officially acknowledged and certified. 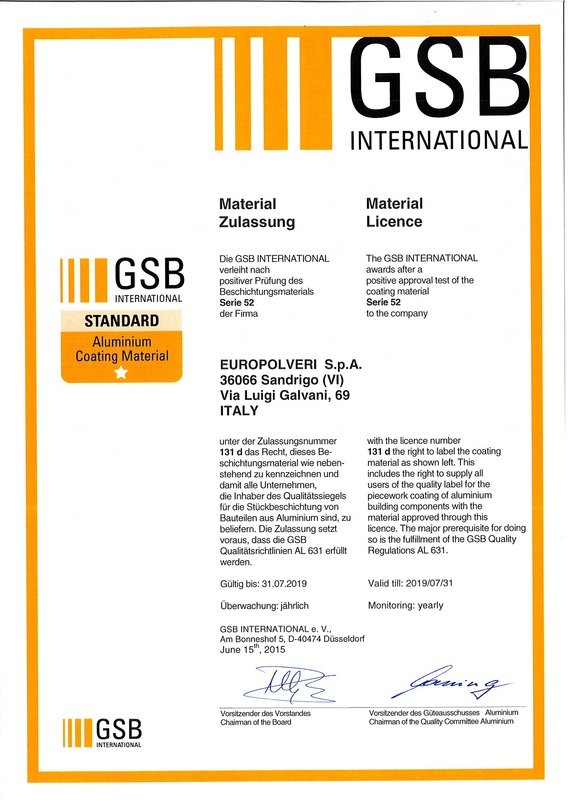 The Europolveri company system has been certified by BVQI (Bureau Veritas Quality International) at the highest international level since the 10/11/1993, in accordance with standard ISO 9002. 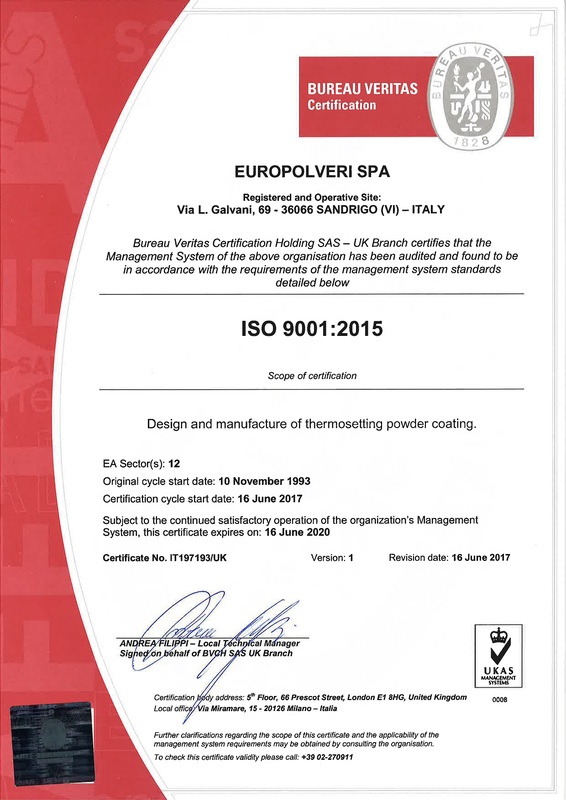 Europolveri was also the first company in Italy to obtain the coveted ISO 9001 certification on the 15th of September 1994. 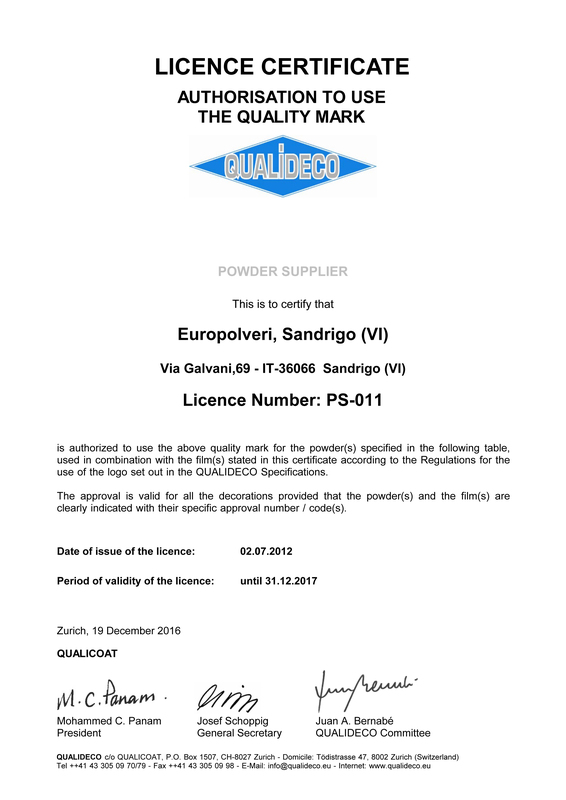 This year Europolveri obtained the ISO 14001 certification on the Environmental Management System. 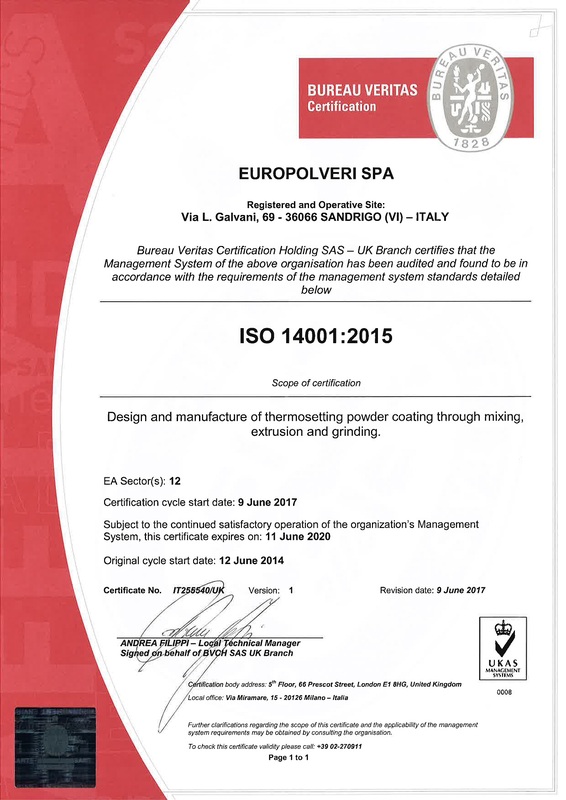 ISO 14001 is part of a series of international standards based on the principles of an Environmental Management System that includes planning, execution and control phases and enhancing actions, and defines the most important requirements for highlighting, controlling and monitoring the environmental aspects of any Organisation that has a correct management of environmental issues.